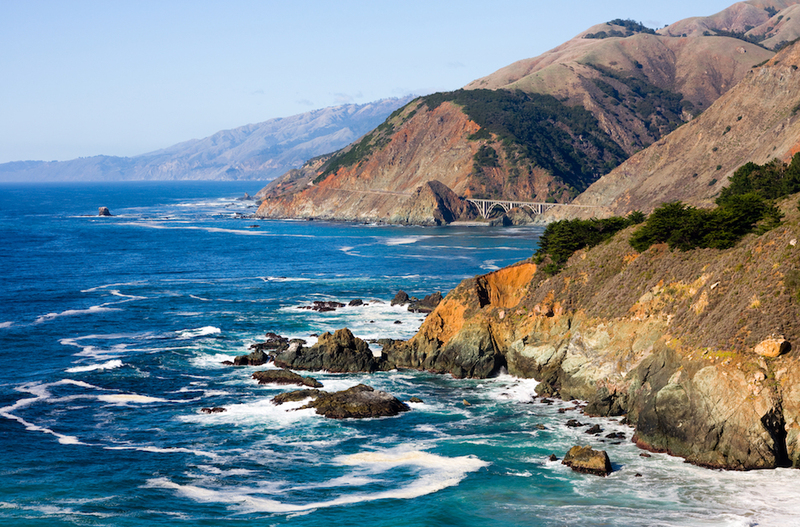 California scuba diving generally falls into two categories: boat diving and shore diving. Charter boats will dive the islands and offshore reefs during full day excursions, while a shore dive can be completed in a few hours with minimal cost. Can you combine the two? Absolutely – you just need a kayak! 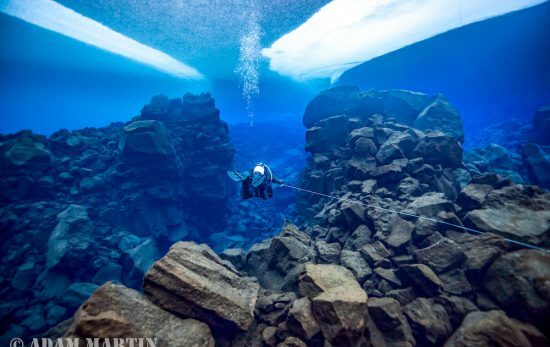 Kayak diving allows shore divers to access reefs that are too far to reach by swimming and/or situated in front of inaccessible terrain. The best part of kayak diving is that you are on your own schedule, combining the peacefulness of paddling across the ocean surface with exercise and the underwater world. There’s nothing quite like spending your surface interval being lulled to sleep on a gently rolling kayak. Preparing for a kayak dive is where the adventure begins. Divers need to pick a day with minimal swell, select a calm entry/exit point and create a detailed dive plan. My buddies and I generally try to do two dives when we’re out there, switching to a fresh tank during the surface interval. Start out with experienced kayak divers. 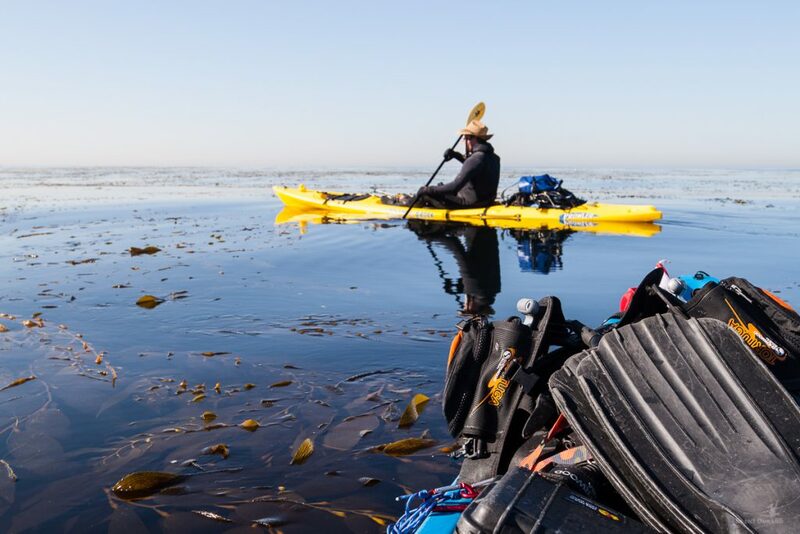 Seasoned kayak divers can show you all the tips and tricks, and maybe even share the location of a secret reef or two once you get to know them. Be sure to pack the proper safety equipment. Attach a large dive flag to your kayak to notify any boats in the area where you are. It’s also ideal to bring along a waterproof first aid kit and have a safety plan between you and your buddy (including where the closest beach with lifeguards is). And don’t forget to ALWAYS dive with surface marker buoy for safety reasons. Ensure all gear is attached to the kayak. 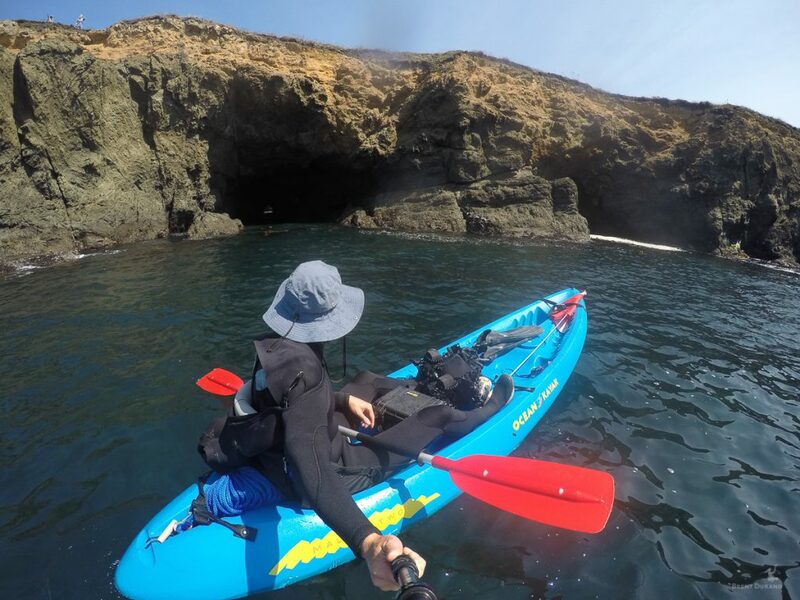 Kayaks are generally very stable, but there’s always the chance you could turn over while paddling through surf or even sliding into the kayak. I use a ratchet strap for BCD and tank, and then lines with clips to loop through mask, fins and other accessories. Don heavy gear in the water. Movement is limited on the kayak, so the best way to get your BCD and tank on is to inflate your BCD, clip it to the kayak, and roll it overboard. The gear is much easier to put on once you’re in the water. When exiting, take off your BCD and clip it to the kayak, then use your fins to kick and slide into the kayak. Once situated, you can pull the BCD/tank aboard and secure the gear. 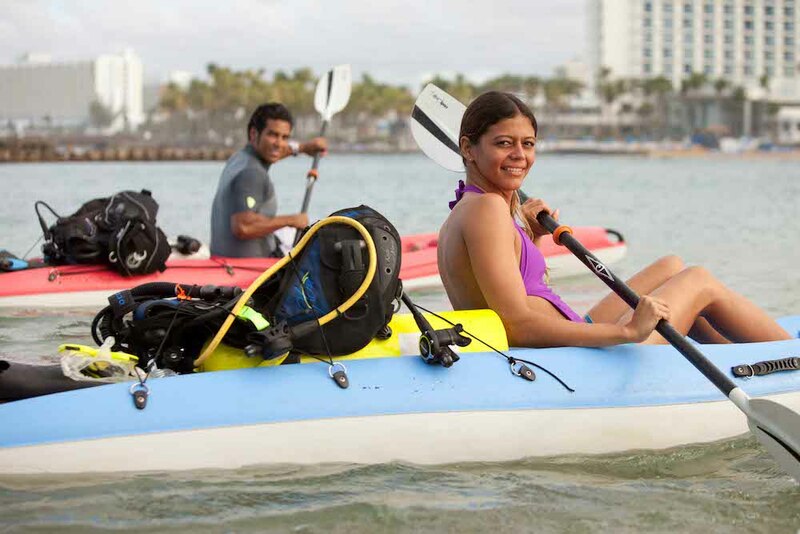 Kayak diving is a great adventure and is sure to provide great stories for the next dive club meeting. I’ll see you out there!